Finished your How-To book of the Mass yesterday. I'm a revert Catholic and have become very critical of my new-age feminist Catholic grade-school/CCD upbringing and my childhood parish - especially when visiting family and attending Mass over the Holiday. Your book is what I needed to put the Mass back in perspective and appreciate what is there and not concentrate on the abuses. Thanks for the section on how to experience a great homily every time - it worked! I'm attending an RCIA class and will pass your book along as a recommendation for reading for all. You're a great writer - thanks again! One of my favorite subjects. None of the weather forecasters were correct in their predictions with regard to us. Even the local television stations were predicting a mere dusting a few hours before the snow actually fell. Contrast that with a week before when they were predicting a more substantial dumping and nothing--absolutely nothing fell. With all their computer simulations, satelite imagery--the weather people are still fairly dumb as a lot. Perhaps a better indicator that something was about to happen here was the racoon who appeared in broad daylight in our backyard midafternoon on Christmas Eve either headed for Christmas dinner somewhere or preparing for an oncoming storm that would dumb close to 9 inches of snow here. we have a ton of snow...lots more than the weatherman predicted. Mass was sparsely attended...the pastor remarked that the same was true last night at midnight. Daily reflections on the reading continue to be posted here. Here is a reflection on the past year. Sunday morning we awoke to find an injured bunny lying in front of our picture window. I went out and offered it some water and carrots. We then trucked off to Mass. Upon our return several hours later, Amy announced "well this will offer some diversion to your football viewing this afternoon." Walking into the living room there was the poor rabbit being picked apart by a gigantic hawk. I scurried the hawk away and then flung the rabbit carcass into some brush (out of direct sight). The hawk flew back to the spot of the crime about an hour later looking for the rabbit. I was amazed that he had such difficulty finding it. He kept pacing around where he had left it, looking quizzically around. Sort of "who moved my rabbit?" After about thirty minutes of persistence he finally found it and started tearing away at it's flesh again. I went back to watching football. Pope John Paul II has approved a miracle attributed to the intercession of Mother Teresa. Look for her to be Beatified sometime in the coming year. The Image of Christ on a No Parking sign? Alpine Observer > Image of Christ? Violators will be towed...to Hell! Looking for that special Christmas gift? Froogle is a google beta test, kind of neat! For those who have watched CBS news dating back to the Walter Cronkite days with his trademark "and that's the way it is", you may have picked up that Dan Rather has never quite figured out how to end his news cast. His latest attempt is a rather lame if not outright funny "what's next" after some late news story. Anyway today's news of Cardinal Law's resignation elicited a "what's next" in my head spoken by Dan Rather. But it is not so much a surprised "what's next" but rather a serious "let's move ahead, planning our next step--what's next." Who will the Pope name as the next Archbishop of Boston? Will the other auxiliaries soon follow suite? Will the Vatican move in and try to clean up shop in the U.S. realizing that this crisis is doing terrible damage to the faith of those on the periphery of the church? When the United States wants to make sure that other countries do not have weapons of mass destruction and in the process we threaten to use them? Check out my daily Advent meditations at this site. Spirit Daily - Daily spiritual news from around the world Reports that the Pope unexpectedly was not in attendance for the beginning of the annual Advent retreat. So the shepherds of Christ’s flock must never indulge in self-love; if they do they will be tending the sheep not as Christ’s but as their own. And of all vices this is the one that the shepherds must guard against most earnestly: seeking their own purposes instead of Christ’s, furthering their own desires by means of those persons for whom Christ shed his blood. The love of Christ ought to reach such a spiritual pitch in his shepherds that it overcomes the natural fear of death which makes us shrink from the thought of dying even though we desire to live with Christ. However distressful death may be, the strength of love ought to master the distress. I mean the love we have for Christ who, although he is our life, consented to suffer death for our sake. Each week the Bruderhof Community will be posting an Advent story. You nursed me with the spiritual milk of your divine utterances. You kept me alive with the solid food of the body of Jesus Christ, your only-begotten Son and our God, and you let me drink from the chalice of his life-giving blood, poured out to save the whole world. A modest dumping of snow last night. Most of it is gone already. But the cold air remains. A visit to Gesu Church on the campus of Marquette will probably not be as dramatic as mine was this past week. After climbing the wooden steps to the top I came face to face with a dead priest lying in an open coffin. Next to the coffin was a collage of sorts saying goodbye to Father Joe, evidently the priest who was lying in the coffin. No one else was around at the time. There was no kneeler by the coffin, but I did pause to say a prayer for the deceased father. There is a great Catholic bookstore on W. Greenfield called Catholic Book and Gift that is well worth a visit. I could spend an entire day just gazing at the art that adorns the Basilica of St. Josaphat's. A great place for lunch is Joey Buona's on Water St. I ordered a sandwich for a very modest price and it was delivered with a large bowl of soup and homemade chips. Very tasty and what a deal! Great service there too! A Bosnian priest allegedly removed for sexual misconduct has been banned from taking part in a prayer vigil today at the National Shrine of the Immaculate Conception after Archdiocese of Washington officials learned of his suspension. The Diocese of Mostar-Duvno in Bosnia alerted officials on the eve of the event that the Rev. Jozo Zovko is under censure, a shrine spokesman said. I hadn't heard anything about this. Given the popularity of Medjugordje it seems it would have made a bigger headline over here, at least in the Catholic Press. On the eve of number 44 I'm home with a sinus infection watching it snow outside. that as he says is "so tragic it defies description." "I don't remember stardom with any longing," Zevon says. "It was a brief opportunity to be rude: 'Fire that opening act. I don't like the way he looked at me.' My success was a fluke. I was a folk singer who accidentally had one big hit." Zevon's recent sales are modest but solid: Life'll Kill Ya has sold 80,000 copies in North America, My Ride's Here about 50,000. But he has what Browne calls "the success that matters: this very loyal following of people who truly get him. There's no greater success than being loved and admired for what you really do." If there is anything I've learned in life is that truly great artists are people who are not loved by the masses but as Jackson Browne says above by "very loyal following of people who truly get him." Or about what he might find on the other side. "No" -- that is Zevon's firm answer when asked if he has given any thought to his impending afterlife. "I'm too busy. I might change my mind in a week. Sometimes I go to Mass with my ex-girlfriend. Maybe I'll go to Mass with my ex on Saturday night and decide I want the priest to give me instruction, fast and furious. Mass on Saturday night is a very Catholic thing...(of the last thirty plus years anyways). The Catholic Shopper has my new book featured as a bestseller! Two people were killed Sunday when tornadoes tore through Van Wert County flattening buildings, toppling trees and plunging the agricultural community into chaos. Two others were killed to the northeast when twisters flipped a mobile home in Putnam County. "Unfortunately, we did lose life," Van Wert County Emergency Management Agency Director Rick McCoy said Sunday night. "We're thankful to God we didn't lose more." One of the people killed was ejected from a car when the storm hit, said Jack Snyder, spokesman for the Van Wert County Emergency Management Agency. Van Wert, Ohio is about 30 miles from Fort Wayne. "The buffalo herd can only move as fast as the slowest buffalo. And when the herd is hunted, it is the slowest and weakest ones at the back that are killed first. Thus the general speed and health of the herd keeps improving by the regular killing of the weakest members." "In much the same way, the human brain can only operate as fast as the slowest brain cells, and excessive intake of alcohol, as we know, kills brain cells. But naturally it attacks the slowest and weakest brain cell first. In this way, regular consumption of beer eliminates the weaker brain cells, making the brain a faster and more efficient machine. That's why you're always smarter after a few beers." the other side of a fence. As the lawyer climbed over the fence, an elderly farmer drove up on his tractor and asked him what he was doing. The litigator responded, "I shot a duck and it fell in this field, and now I'm going in to retrieve it." The old farmer smiled and said, "Apparently, you don't know how we do things in Texas. We settle small disagreements like this with the "Texas Three Kick Rule." The lawyer asked, "What is the Texas Three Kick Rule?" The attorney quickly thought about the proposed contest and decided that he could easily take the old codger. He agreed to abide by the local custom. The old farmer slowly climbed down from the tractor and walked up to the city feller. His first kick planted the toe of his heavy work boot into the lawyer's groin and dropped him to his knees. His second kick nearly ripped the man's nose off his face. The barrister was flat on his belly when the farmer's third kick to a kidney nearly caused him to give up. The lawyer summoned every bit of his will and managed to get to his feet and said, "Okay, you old coot now it's my turn." Envoy Magazine has launced a new blog with some great contributors. Check it out! "Brother of Jesus" bone-box a fraud? Both Altman and noted paleographer Ada Yardeni have concluded that the second part of the inscription was added later. "There are two hands; two different scripts; two different social strata, two different levels of execution, two different levels of literacy, and two different carvers," Altman says. Altman believes that the second half was actually written in the 3rd or 4th century, while Paul Flesher at the University of Wyoming, an expert on Hebraicized Aramaic dialects, dates it anywhere between the 2nd and 7th centuries. The story, which is destined to become legendary in Southern Ohio circles, starts in Waverly. Northwest football coach Dave Frantz and Tigers’ coach Derek DeWitt shared a conversation the week leading up to the game. But the two coaches weren’t discussing strategy, instead they were talking about a mentally-handicapped Northwest player by the name of Jake Porter. Porter, a senior, has a disorder called "Chromosomal Fragile-X," which is the most common cause of inherited mental retardation. Porter still shows up on time for practice every day and dresses in full gear during games, but he has yet to take an official snap in a football game. Frantz wanted that streak to end last Friday. "I told them (Waverly) ahead of time that he can’t take a hit or anything," Frantz said. "If the game’s not at stake on the last play, I wanted him to come in and take a knee." Yet a week after their conversation, with Waverly leading 42-0 with five seconds remaining, coach DeWitt offered Frantz one better. "During the timeout, he met me in the middle of the field and said ‘We’ll let him score,’" Frantz explained. "(Initially) I said ‘Nah.’ Then we talked about it with the referees, and they said ‘Hey coach, we understand." What soon followed will forever go down in Southern Ohio football lore. At Waverly’s 49-yard line, Porter entered the game at tailback, had his play, "84-iso," called in the huddle, and when the ball was snapped all 21 players parted ways. Porter was somewhat surprised when he slowly walked through the huge hole. He initially turned back around to the original line of scrimmage, but everyone on the field -- including defensive players from Waverly -- pointed and guided Porter toward the Tigers’ end zone. "When we practiced it, he was supposed to down it, so I think he was a little confused at first," Northwest tailback Zach Smith said. "But once he figured it out, he took off." The 49-yard trek to glory took about 10-12 seconds in all, and was culminated by players from both sidelines cheering and running step-for-step with Porter to the end zone. Tears flowed from the bleachers well into the night, and the life of one young man was changed forever. Did the Oklahoma City Bombing have Middle Eastern ties afterall? But what increasingly drew her attention was another Iraqi living in Oklahoma City, a restaurant worker called Hussain Hashem Al Hussaini, whose photograph was almost a perfect match to the official sketch of "John Doe 2". Al Hussaini has a tattoo on his upper left arm, indicating he was once a member of Saddam's elite Republican Guard. Since then, Davis has gathered hundreds of court records and the sworn testimony of two dozen witnesses. Several claimed to have seen a man fitting Al Hussaini's description drinking with McVeigh in a motel bar four days before the bombing. Others positively identified former Iraqi soldiers in the company of McVeigh and Nichols. Two swore that they had seen Al Hussaini only a block from the Murrah building in the hours before the bombing. With the case against McVeigh and Nichols seemingly watertight, the FBI has until now consistently refused to reopen it. McVeigh went to his death in the execution chamber two years ago, insisting he alone was responsible. Let us always desire the happy life from the Lord God and always pray for it. But for this very reason we turn our mind to the task of prayer at appointed hours, since that desire grows lukewarm, so to speak, from our involvement in other concerns and occupations. We remind ourselves through the words of prayer to focus our attention on the object of our desire; otherwise, the desire that began to grow lukewarm may grow chill altogether and may be totally extinguished unless it is repeatedly stirred into flame. Therefore, when the Apostle says: Let your petitions become known before God, this should not be taken in the sense that they are in fact becoming known to God who certainly knew them even before they were made, but that they are becoming known to us before God through submission and not before men through boasting. The third joyful mystery is the birth of Christ in a manger. It's not hard to imagine this. It's hard to control one's imaginings. I imagine the trek to the manger, the disheartened young husband, the sound of the eating area of the inn as they trudge on, hungry and alone. And then a car alarm goes off. And suddenly I'm wondering: Did she have a hard labor? Did God want her to know from the beginning that her joy would be ever accompanied by pain? Did she weep him into the world? Maybe it was an easy birth. God knew she was barely more than a child, with a young husband and no help, just the two of them in the cold in a hut on a hill. When the child was born, did he cry aloud with a great wail, and did the cry enter the universe? Did it become a sound wave of significant density? Is it still out there, radiating out into the stars, and did the Voyager II bump into it? If, as an astronaut, you traveled through that sound wave in the year 2063, would it jostle your space capsule and disturb your small universe? Would you hear something? What? Did someone unrecorded by history see a light in the hut on the hill and come to help Mary and Joseph that night? Maybe there was an old woman with moles and wens and a sharp bent nose, a woman almost comically ugly, like a witch in a child's Halloween book. Maybe she lived in isolation, never left her small hovel, but she felt called to assist, tugged by some wonder that pierced her estrangement. She helped with the birth, and hers was the first face he saw. Her outer appearance was an expression of the inner wounds he came to heal. As if she were the physical representation of the state of man's soul. Maybe it was she who wrapped him in rags; maybe she bent down, breathed him in, her face bathed in the warm mist of a brutal birth on a frosty night. Maybe when she returned home she was beautiful. But no one knew, and it all went unrecorded, because she never left the house again. And never knew she had been made lovely. This shows the confusion that reigns among the clergy in this country when it comes to morality. The context in which Jennifer Granholm is required to operate is an exceptionally complex one. As governor, she would be required to uphold the laws of the state and of the country. The decision to balance conflicting claims in a widely diverse society is not a simple one. "Man's dignity demands that he act according to a knowing and free choice," Vatican II declares. "Such a choice is personally motivated and prompted from within. It does not result from blind internal impulse nor from mere external pressure." When caught in conflicting values one must choose the course of action that will maximize the positive values and minimize the disvalues. Talk about twisting the meaning of a phrase! I believe, however, that to bring out fully the Christological depth of the Rosary it would be suitable to make an addition to the traditional pattern which, while left to the freedom of individuals and communities, could broaden it to include the mysteries of Christ's public ministry between his Baptism and his Passion. In the course of those mysteries we contemplate important aspects of the person of Christ as the definitive revelation of God. Declared the beloved Son of the Father at the Baptism in the Jordan, Christ is the one who announces the coming of the Kingdom, bears witness to it in his works and proclaims its demands. It is during the years of his public ministry that the mystery of Christ is most evidently a mystery of light: “While I am in the world, I am the light of the world” (Jn 9:5). Another Marian devotion that our Founder treasured was the Holy Rosary. In order to encourage everyone to recite the rosary, he used to say: “Our Lady waits for our Rosary even up till midnight!”. For him, the Rosary was not only a vocal prayer, but also a prayer of a meditative and contemplative nature. This can be seen clearly in his writing called The Mysteries of Light. A rapid glance at these mysteries will clearly show us that they do differ a lot form the ones we are used to. The first mystery is when Our Lord was baptized at the Jordan; the second consists in meditating the events of Christ’s miracles; the third, when Jesus Christ taught the Beatitudes; The fourth about Our Lord’s transfiguration; and the fifth is about the Last Supper. They actually are the work of Blessed George Preca who first published them in the 1950's calling them Mysteries of "light." 2. Jesus reveals himself at the Wedding feast of Cana. 3. Jesus' announcement of the Kingdom of God. According to Vatican sources, the Pope Wednesday will issue a document proposing that Catholics meditate on five more events in Christ's life in the new rosary, adding a further layer of spirituality to the age-old prayer. Is it unnatural to use natural means? Why, at this point, you ask? State Sen. Mike Taylor, Republican candidate for the U.S. Senate, will withdraw from the race this afternoon, saying a Montana Democratic Party television ad has destroyed his campaign. Taylor said at a press conference in Helena that the ad, which he said insinuated that he was a gay hairdresser, had pushed his poll numbers through the floor. I wonder what big name Republican in Montana he will be replaced with on the ballot? ...engineers from a rival company, Inax, counterattacked in April with a toilet that glows in the dark and whirs up its lid after an infrared sensor detects a human being. When in use, the toilet plays any of six soundtracks, including chirping birds, rushing water, tinkling wind chimes, or the strumming of a traditional Japanese harp. Posted on the Drive-Theater marquee are the dreaded words that I will face each day just before arriving at work--Closed for the Season. Temperature this morning is 37 degrees. From World's funniest joke no laughing matter! The Father willed that his blessed and glorious Son, whom he gave to us and who was born for us, should through his own blood offer himself as a sacrificial victim on the altar of the cross. This was to be done not for himself through whom all things were made, but for our sins. It was intended to leave us an example of how to follow in his footsteps. And he desires all of us to be saved through him, and to receive him with pure heart and chaste body. O how happy and blessed are those who love the Lord and do as the Lord himself said in the gospel: You shall love the Lord your God with your whole heart and your whole soul; and your neighbour as yourself. Therefore, let us love God and adore him with pure heart and mind. This is his particular desire when he says: True worshipers adore the Father in spirit and truth. For all who adore him must do so in the spirit of truth. Let us also direct to him our praises and prayers saying: Our Father, who art in heaven, since we must always pray and never grow slack. Thanks to Spirit Daily for once again featuring my Novena book today! He has given his angels charge over you to guard you in all your ways. Let them thank the Lord for his mercy; his wonderful works are for the children of men. Let them give thanks and say among the nations, the Lord has done great things for them. O Lord, what is man that you have made yourself known to him, or why do you incline your heart to him? And you do incline your heart to him; you show him your care and your concern. Finally, you send your only Son and the grace of your Spirit, and promise him a vision of your countenance. And so, that nothing in heaven should be wanting in your concern for us, you send those blessed spirits to serve us, assigning them as our guardians and our teachers. He has given his angels charge over you to guard you in all your ways. These words should fill you with respect, inspire devotion and instil confidence; respect for the presence of angels, devotion because of their loving service, and confidence because of their protection. And so the angels are here; they are at your side, they are with you, present on your behalf. They are here to protect you and to serve you. But even if it is God who has given them this charge, we must nonetheless be grateful to them for the great love with which they obey and come to help us in our great need. So let us be devoted and grateful to such great protectors; let us return their love and honour them as much as we can and should. Yet all our love and honour must go to him, for it is from him that they receive all that makes them worthy of our love and respect. We should then, my brothers, show our affection for the angels, for one day they will be our co-heirs just as here below they are our guardians and trustees appointed and set over us by the Father. We are God’s children although it does not seem so, because we are still but small children under guardians and trustees, and for the present little better than slaves. Even though we are children and have a long, a very long and dangerous way to go, with such protectors what have we to fear? They who keep us in all our ways cannot be overpowered or led astray, much less lead us astray. They are loyal, prudent, powerful. Why then are we afraid? We have only to follow them, stay close to them, and we shall dwell under the protection of God’s heaven. American Taliban John Walker Lindh has told FBI interrogators that Osama bin Laden had planned a three-phase attack on America and its allies and dispatched 50 al-Qaeda members on suicide missions the summer before the Sept. 11 attacks, it was reported yesterday. The attacks on New York and Washington in which airliners were flown into buildings was only the first phase, The Sunday Times of London reported. The figure of the crucified man imprinted on the Shroud of Turin can now be more clearly seen, following its restoration by experts. At the official presentation of the restored shroud Saturday, Cardinal Severino Poletto, archbishop of Turin, explained that the purpose of the work was to guarantee the conservation of the cloth. The work involved the removal of patches sewn on the shroud 470 years ago. The cardinal, who is the relic's pontifical custodian, said that the restoration was carried out with the permission of the Holy See (which owns the shroud), and in keeping with the advice of technical experts. The restoration of the shroud, in which according to tradition the body of Christ was wrapped after the crucifixion, was carried out last June and July in the sacristy of the Turin cathedral. Work was done by a team headed by Swiss expert Mechtild Flury-Lemberg, former director of the Abegg Museum in Berne. Thirty triangular patches, sewn by nuns of Chambery, France, in 1534, after a fire damaged the relic in 1532, were removed from the shroud. Also removed was the "Holland cloth" sewn on the reverse of the shroud 450 years ago to preserve it. The work also enabled the removal of dust and debris that had accumulated on the cloth over the centuries. All the material removed has been catalogued and placed in safekeeping. If it liquefies that's good. Happened yesterday. It's Januarius' blood, feast day was yesterday. The Florida Elections Commission has awarded Fisher-Price a contract to develop a less confusing balloting system for the state in the run-up to November's midterm elections. Over on the HMS blog my wife and Greg Popcak have gotten into a debate over how tough it should be to be allowed to be a member of the Church. It all stems from a thesis that the popularity of a group is enhanced by how hard it is to be a member. Making membership too easy leads to a drop in membership. Nice theory and it would explain the popularity of some cults, but they come and go. It hardly explains the Christian faith at any era of its existence. One of the faults of thinking about the early church as fitting this model is the thinking that everyone was a martyr. Of course this isn't the case although the lapsi who survived the persecutions built nice churches in their honor. One of the hot topics is should a child be baptized if the parents do not seem fit Catholics. The problem with this question up front is that it is all about what everyone else should be doing and very little about what I should be doing and reflects very little of a Christian attitude. Are Christians supposed to be watchdogs? Didn't Jesus command us not to judge but to love? Didn't he condemn those who would try to keep the "little ones" from entering the kingdom of God? "The law exist to bring people to Christ" as the former president of the Canon Law Society of America has said, and any interpretation that turns people away from Christ is faulty. The poorest translator is the person who can translate it from Latin to English (which unfortunately is the only value some exhibit). It is clear that there are Catholics whose one goal is to turn people away, to make it hard to come to Christ. "Suffer the children to come to me" Jesus scolded his disciples when they tried to keep them from bothering the Lord. I know people who were baptized as infants never went to church but still identify themselves as Catholic and come back years later because they have been marked with an indelible sign when they weren't even conscious of it (or were they?). It isn't magic--it is real. Like the Lord's healing touch to the woman with the hemorrhage, the sacrament's have an effect. Grandparents bringing infants to be baptized is not a bad thing, but a good thing. It is largely reported that in Russia during the reign of Communism that it was the grandparents that kept the faith alive. If grandparents are going to take an active role in the faith formation of children why not allow them to? In traditional society grandparents have often played this role and to make light of it is to have a very narrow view of "family." Ultimately the question isn't who should be baptized but what am I doing with the gift of my baptism? Sitting in judgment of others like the Pharisee who prayed up front "Lord, I thank you that I am not like other men" or the Publican "Lord, be merciful to me a sinner." Anyone who thinks they are the first is deluded. We all are sinners. Indiana ranks 7th with more than 100 denominations, census of religious life finds. But will be canonized someday in the future. I would judge that the Catholic Writer's Conference in Steubenville was a great success. It was great to meet people that I had only "read" and to touch base with others who I 've known for awhile. My talk was well attended (by close to 90 people) and a lot of writers presented me with some great ideas. Hopefully this will become a yearly event. Best line of the night about 9/11 that was said by Bobby to Tony. It went something like this, "you know Quasi Mode predicted all of this." Tony says, "huh--no you mean Nostradamus." "Do you ever think about the similarities between the hunchback of Notre Dame and the halfback and quarterback for Notre Dame." The writers of the Sopranos have captured the way people talk in this country in a way that no other program before has been able to do. the assembly of your holy ones will proclaim your faithfulness. For who in the sky can be compared to the Lord? Who could resemble the Lord among all the sons of God? great and terrible above all who surround him. It was interesting. I found the Orthodox rabbi interesting but he was way to hip to be an "orthodox" rabbi and his ideas were way out there. Father George Ruttler and Monsignor Albacete were the Catholic spokesmen. 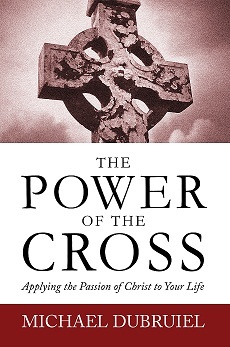 Strange that they wouldn't have interviewed Benedict Groeschel who has the absolute bestseller that deals with this issue--The Cross at Ground Zero. One issue that was avoided was any sense that this act of violence was part of a war that is being fought which I found a rather interesting omission.